Red Bull Spotlight a nation-wide programme to identify and support top talent across various fields had recently kicked off with a college band hunt. Competitions were held in nine cities across the country – Mumbai, Delhi, Bengaluru, Chennai, Kolkata, Hyderabad, Guwahati, Goa and Pune – with one band emerging victorious in each city. For a month, the public can vote for their favourite band. At the end of the voting period, one winning band will be selected by a panel of judges from amongst the bands with the highest number of votes. went to some of the top colleges in the country with one mission – to unearth the best student bands. 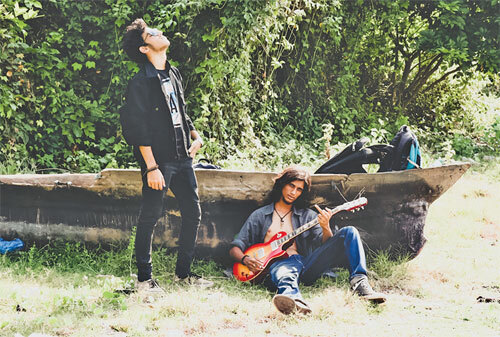 Band hunts were conducted across colleges in Mumbai, Bengaluru, Delhi, Chennai, Pune, Goa, Hyderabad, Guwahati and Kolkata, with one band emerging victorious in each city. Red Bull Spotlight is a nation-wide programme to identify and support top talent across various fields and they had kicked off with the college band hunt. Each of the nine finalists were sent into a studio in their city to record one song, and it’s now time to determine the best of the lot. For one month, all nine songs will be available to listen to and vote for, and at the end of this period, one band will be adjudged the national winner. The winning band will get the opportunity to record a full-length album at a professional studio, along with a number of other benefits, including a press kit – complete with a photo shoot and album art for their newly recorded album. At the end of the voting period, one winning band will be selected by a panel of judges from amongst the bands with the highest number of votes. The judges for this edition of Spotlight are music journalists Amit Gurbaxani and Anurag Tagat, head of programming for OML/NH7 Weekender Debayan Deb, artist manager at Mixtape Anu Anna George and founder-partner of subculture think-tank 4/4 Entertainment and the non-profit Control ALT Delete Nikhil Udupa. The nine finalists are heavy metal band Illucia from Bengaluru, singer-songwriter Surya Ganjoo from Pune, Hindi progressive/alt rock band Last Minute from Mumbai, hard/ alt rock band Drone from Kolkata, rock band Sword from Hyderabad, deathcore band Jammers Graveyard from Guwahati, blues/rock band TNT from Goa, progressive/alt rock band Khalnayak from Delhi, and hip-hop/soul band Amogh & The Homies from Chennai. TNT , the recently formed college band from Chowgule College, has won multiple state titles. However, with regard to the competition, they are currently trailing some of their other rival bands, with two such bands having already crossed 250 votes..